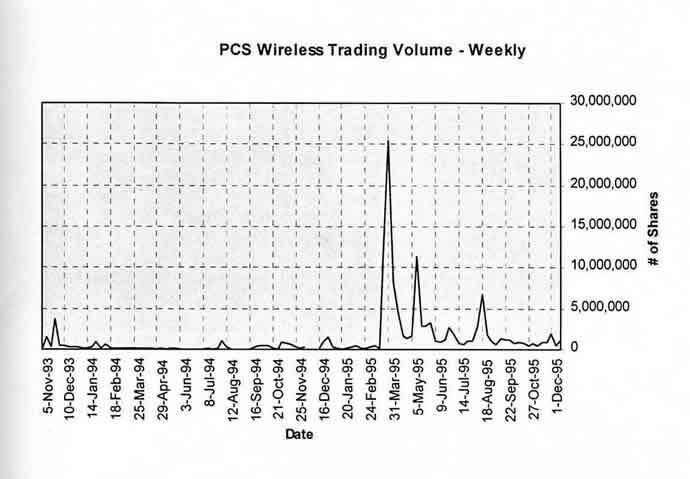 During its relatively short time basking in the media spotlight (basically the spring and summer of 1995), PCS Wireless was a closely followed story because it played a pivotal role in the early rollout of the US 2GHz cellular phone networks around the time of the Federal Communications Commission (FCC) wireless spectrum auctions in the spring of 1995. PCS Wireless also helped put a Vancouver based TSX Venture Exchange listed junior issuer on the map, both with the Toronto Bay Street press and largest institutional investors there, as well as with major players on Wall St in New York and San Francisco - and in the process PCS Wireless was credited with revitalizing the venture exchange during a period when the junior markets were in a funk. 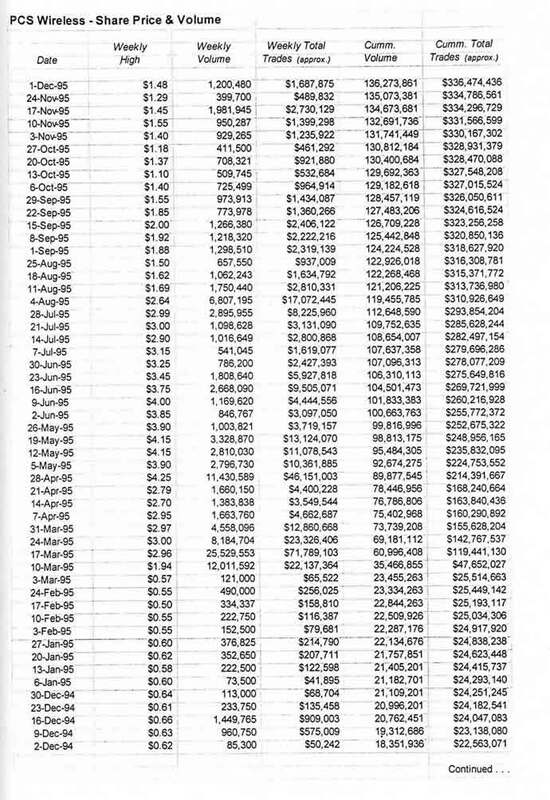 At its peak, PCS Wireless traded almost 10 million shares a day and counted Fidelity Investments (www.fidelity.com), Putnam Investments (www.putnam.com), and Altamira (www.altamira.com) as its largest shareholders. 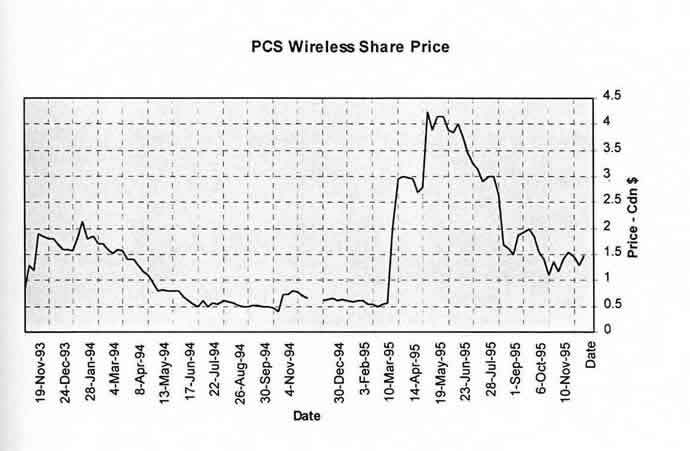 The trading behavior of the PCS Wireless stock also made instant millionaires out of a number of the executives and investors who held sizable positions in the company. 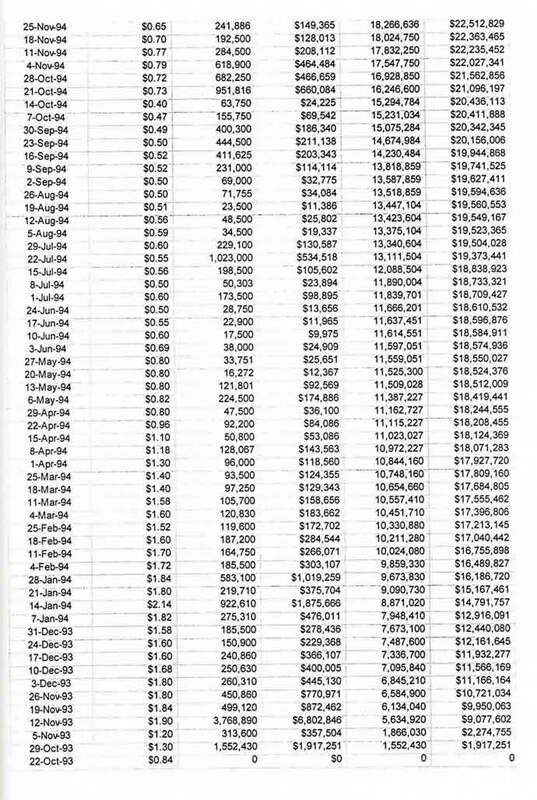 "MSOs search for role in PCS delivery"
"Soaring PCS Stock Dazzles Howe Street"
"PCS Wireless Stock Continues Skyward"
"Hot Stock - A Sudden Surge in PCS Wireless"
"PCS Wireless Set to Ride Wave of US PCS Network Rollout"
"Selloff Hits PCS Wireless Shares"
"Stars & Dogs - PCS Wireless"
"Accord with ADC Boosts PCS Wireless"
"ADC Telecom Links with PCS Wireless"
"MSOs Search for a Role in PCS Delivery"